classical music. That is why it is said that when musicians perform with classical raagas, they experience highest level of meditation and are able to touch their true consciousness. Music has the power to take one to the highest level of saadhna. 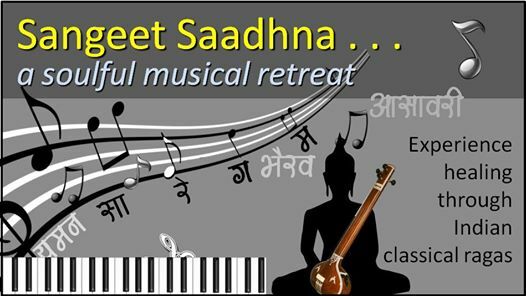 Classical music, specially hindustani classical music has been acclaimed all over the world for its serenity, meditative and therapeutic effects of mind, body and soul. One such evening is planned in Ahmedabad. This programme is with live vocal and instrumental music. The musical meditation and therapy programme is conducted by PLR Therapist, Author and Life Coach Santosh Joshi who is also a keen music lover. This programme explores the therapeutic value of Indian film music based on Indian ragas and is a musical treat to the ones who appreciate film as well as classical music and it’s deeper healing effect.